We've got extra taggers if you need one! Tag or be tagged in this intense, real-life lazer battle game! 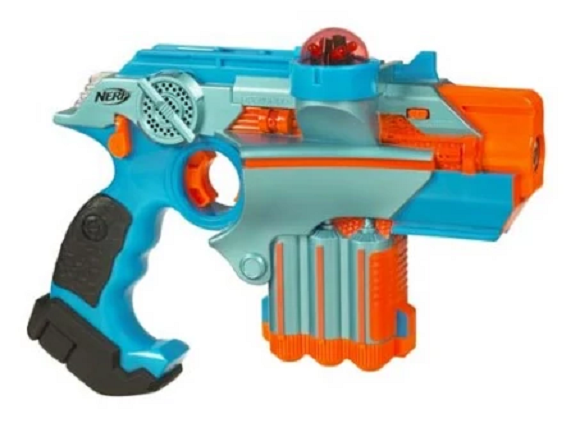 The Phoenix LTX blasters register hits with lights, sounds and vibrations for thrilling minute-to-minute action! 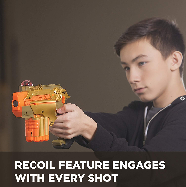 The rumble pack lets players know when they've been hit, while the recoil feature engages with every shot fired. FUN FOR THE WHOLE FAMILY – Phoenix LTX Lazer tag blasters are great for kids, teens, and adults alike. For ages 8 years old and up, different play settings make the game fun and easy for the whole family. 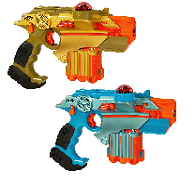 Players can set their Lazer tag blasters for 10 or 25 hits before they’re out. Set beginners’ Lazer tag blasters to 25 and more advanced players’ to 10 to even the playing field. 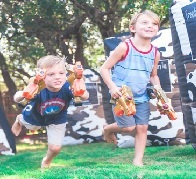 These Lazer tag blasters make great party ideas for kids (boys and girls), teenagers and adults. Perfect for a birthday, Christmas and other holidays, or any occasion!